Excess Hours will be charged accordingly. Instead of just snorkeling with the whale sharks in Oslob, you can also do scuba diving with these gentle giants. Doing scuba diving allows you to stay longer under the water and see the whole body of the whale sharks clearly. 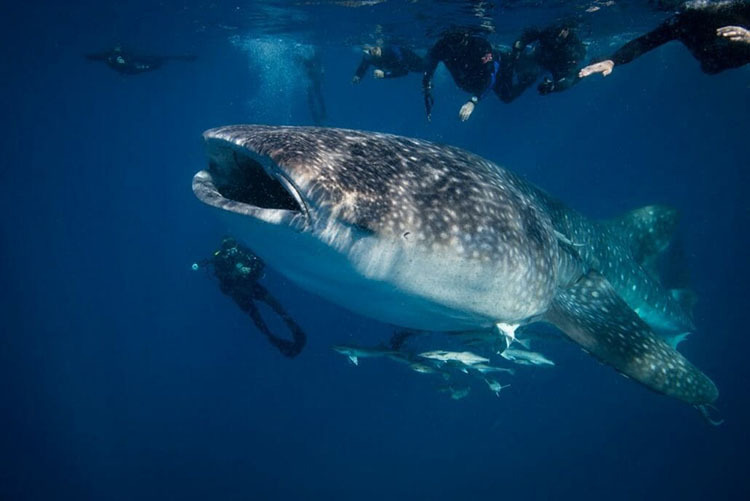 With this activity, there will be a dive master that will assist you in the water and you can also get many nice pictures with the whale sharks. After the scuba diving with the gentle giants, you will be brought to Tumalog Falls which is only a 10 minute ride from the whale shark area. If you are into taking pictures, you will surely enjoy visiting Tumalog Falls because it is a big waterfall which has a very breathtaking view. Note: This is just an estimated time. Might changed on the tour date.